So this week is one of my friend's birthdays, every year I usually send flowers which are always very well received... but albeit a bit boring and a lot of money for something that will die in a week (don't get me wrong i love getting flowers). 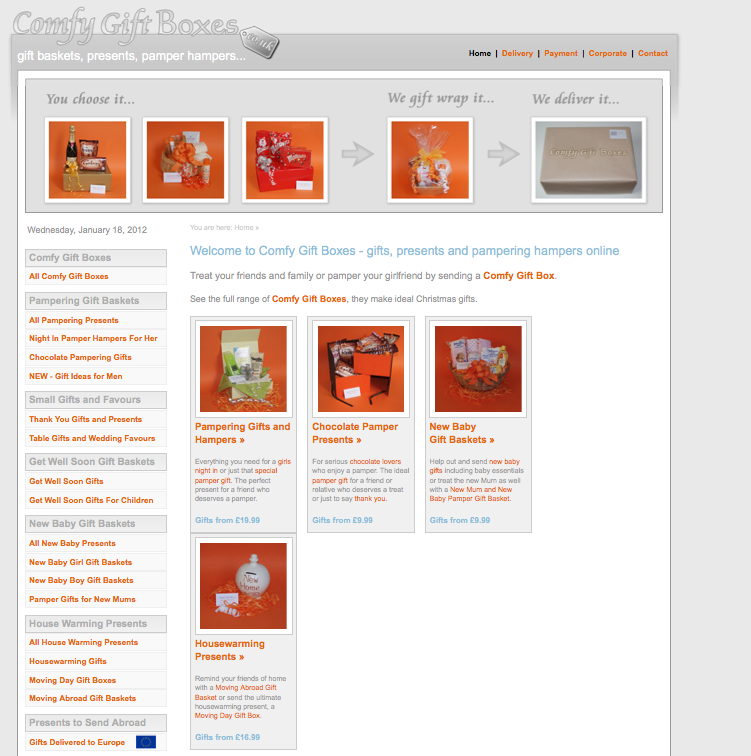 Looking for something different I stumbled across www.comfygiftboxes.co.uk and it is genius! 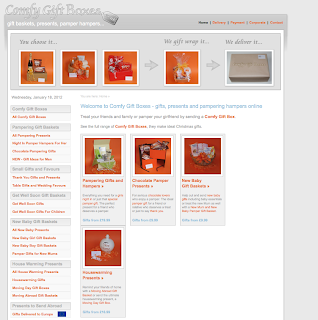 A very wide range of gift boxes for birthdays both for him and for her, pamper nights in, moving house, new baby, new mums, get well soon for adults and kids... the list goes on! All the products are useful and long lasting and the best thing is THEY INCLUDE CHOCOLATE!!! Every woman's dream!! And all this for the price that a standard bunch of flowers would cost! So my friend's birthday present is purchased and I thought I would share the love of this fab new company. The stress of finding a different and interesting present has now gone with a few easy clicks.... Comfy Gift Boxes I SALUTE YOU!